The Black-headed Plover or Black-headed Lapwing (Vanellus tectus) is a species of wading bird of the family Charadriidae. It is found across sub-Saharan Africa.In Kenya specifically, it is found in areas like Tsavo West and East,Lake Baringo, Lake Bogoria,Samburu and Meru National Park. Although not migratory, there is some seasonal movement. Its habitat is wet lowlands close to water. It often feeds in drier habitats, such grassy scrubland. This bird is readily noticeable and unmistakable. It is medium-large with a mainly black head and white forehead. The lower face and bands across the rear head and nape are also white. The crest is a weak black. The bill and legs are red. The tail is white and tipped black. In flight, the upperwings have black flight feathers and brown coverts separated by a white bar. The underwings are white with black flight feathers. The diet of the Black-headed Plover consists of insects and other invertebrates that is picked from the ground. The call is a metallic tink-tink. Vulturine Guineafowl is Large, unmistakable guineafowl; the bare skin of the head and neck is bluish-gray with a band of short chestnut feathers that extends behind the eyes on the back of the head; long, white striped plumes extend from the breast and back; the upper back and breast is brilliant blue, with a black patch on the center of the chest; wings and rear half of body spotted with a long, drooping tail. Females are similar to the males, but slightly smaller and have smaller tarsal spurs. Chicks much like other guineafowl, but develop light blue underparts in a few weeks.Common in dry savanna and scrub land of northeastern Kenya.This photo was taken in Samburu National Reserve. This Greyish Eagle Owl was formerly classed as a race of Spotted Eagle Owl, with the latter found in the southern part of the equator , while former is located in northern part of the equator, this is as far as my Kenyan distribution knowledge is regarding this species. 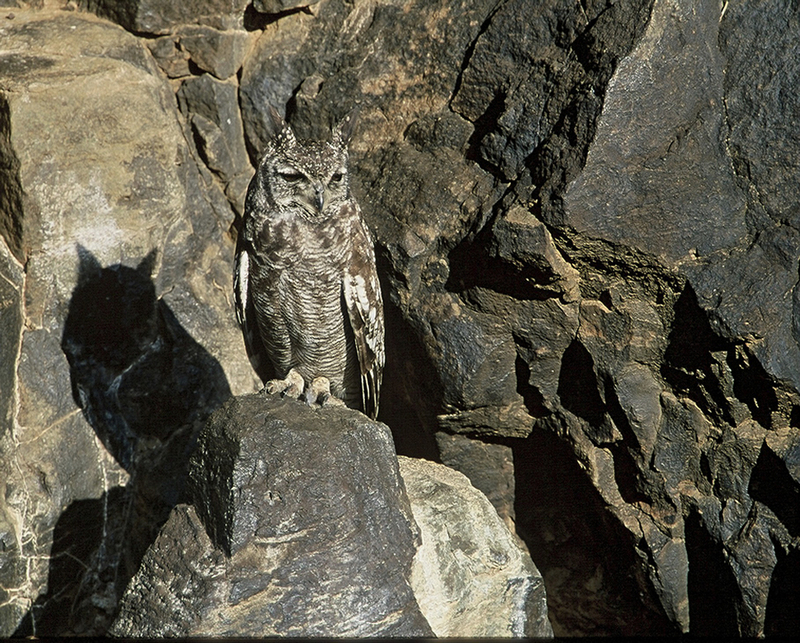 It is a medium to large greyish (grayish) brown owl with dark eyes. Finely vermiculated above and densely so below with barring. All my records of this species has been from Lake Baringo, Lake Bogoria National Reserve and Kerio Valley. I have been informed of records from Samburu and Meru too. Stay tuned as I return later next week from a tour and will be preparing a tour report, new photos, bird songs and much more!